Published October 20, 2016 at 860 × 1200 in Shirts. 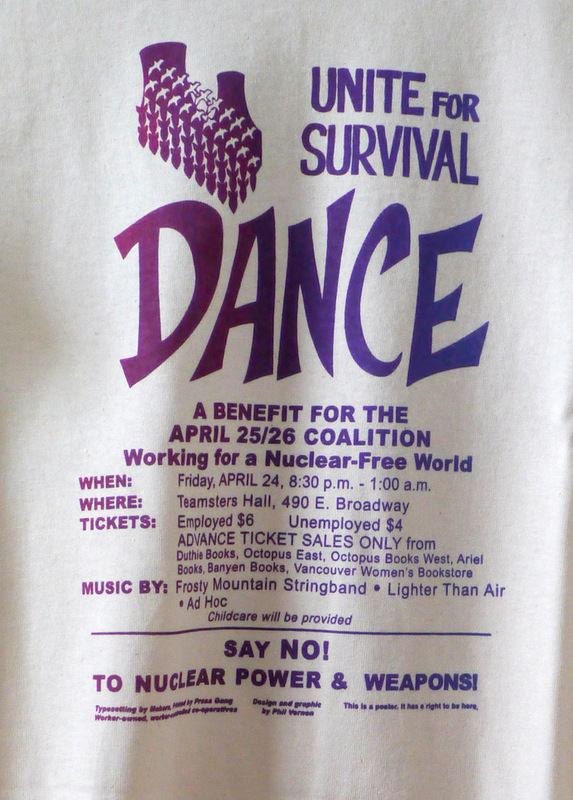 Front of “Unite for Survival” reprint of poster designed by Phil Vernon. Textile dye gradient on unbleached cotton.